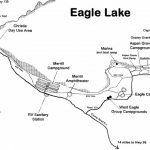 Christie Campground boasts 69 spacious RV & tent friendly sites and marks the end of the Eagle Lake Recreation Area paved hiking and biking trail. It is just five miles from the Marina and right next door to the Christie Day Use Area, which offers picnic tables and grills right on the lakeshore. 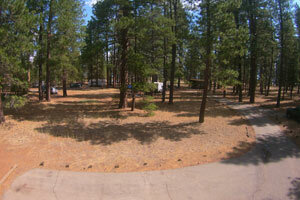 Christie also offers many pull-through sites for those trying to maneuver RV’s. 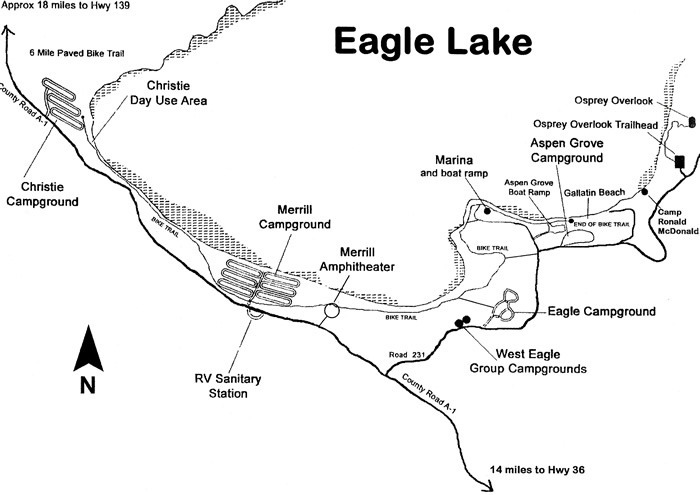 Because of the distance from the Marina this campground is used less and is perfect for a more private camping experience. Christie offers nine small group / double sites that accommodate 16 people and four vehicles. Though you cannot see the lake for all the trees from most sites, many sites in Christie are a straight shot to the lakeshore where guests are welcome to moor their boats for no fee. Reservations for the 2019 season are available from May 15 – September 2. Walk-ins are welcome from May 15 – September 8.